I Was Invited to New York! And we were there just in time to kick off the National Down Syndrome Society Buddy Walk – so we got to meet and walk with lots and lots of other kids and adults to raise money for Down Syndrome awareness. Not only that, but my picture was shown on a large-screen television called the Jumbo Tron right in the middle of Time Square. Me and my family were to the big city in September and we saw some REALLY TALL buildings! We watched LION KING on stage and saw the Statue of Liberty – we even took a boat ride! 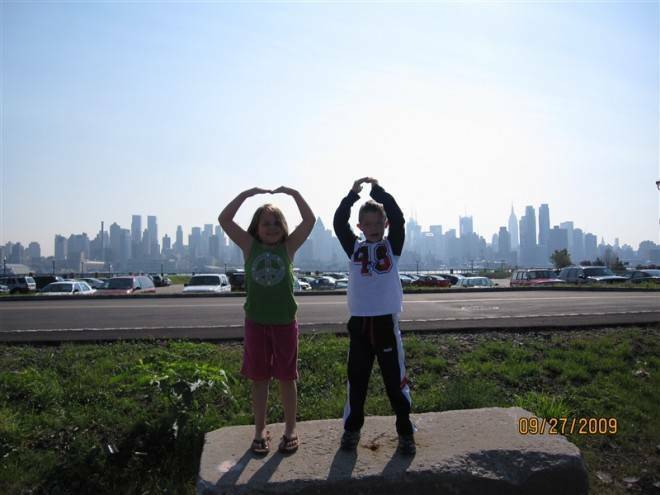 I got to go to the top of the Empire State Building and look down on New York from the sky – I told my big sister that I could almost see Omaha from that high! And, we stood right in the middle of Times Square, too. Did you know that some policemen in New York get to ride horses all day? They can get into all kinds of places where a police car can’t go. I’ll never forget the “Buddy Walk” and everything else we saw – but the best part of the whole trip was all the GREAT people we met – it just proves there are good people everywhere! Comments Off on I Was Invited to New York!